On Monday, 01-14-19 at approximately 2:17 a.m., a female passenger said she was getting a ride home from a male Lyft driver and they were almost to her house when the driver pulled over and attempted to sexually assault her. The female was able to push herself away from the driver and ran out of his car. Our detectives spent a few days tracking down the suspect, a 29-year old Ceres resident, and took him into custody on 01-17-19. On Monday morning, 01-14-19, our officers executed a search warrant at a residence in the eastern portion of Daly City. During service of the warrant, officers located three rifles, suspected methamphetamine for sales, and drug paraphernalia. Officers arrested the 33-year old resident for possession of a controlled substance while armed, possession of a controlled substance for sale, manufacturing an assault weapon, illegal possession of an assault weapon, being a felon in possession of a firearm, and for possession of unlawful paraphernalia. On Monday, 01-14-19 at 12:30 p.m., an 11-year old Fernando Rivera Middle School student threatened to stab a 12-year old student during a P.E. class. The 11-year old had a knife in his possession. No one was physically harmed. He was suspended from school, and a complaint is sought. On Wednesday, 01-16-19 at 3:45 a.m., a 23-year old San Francisco resident was arrested for driving under the influence of alcohol following a collision involving three parked vehicles on the 300 block of South Hill Boulevard. On Thursday, 01-17-19 at 6:21 a.m., Officer Brenes conducted a check of an occupied vehicle parked in the parking lot of the Westlake School of the Performing Arts after receiving a report of subjects possibly using drugs in the vehicle. Officer Dhaliwal arrived to assist, and they subsequently cited a 30-year old male from Half Moon Bay for possession of a controlled substance (heroin) and for possession of Xanax without a prescription. On Thursday, 01-17-19 at 11:34 p.m., Officer Brenes was dispatched to the 100 block of Park Plaza Drive on the report of an intoxicated female sleeping on the porch of a reporting party’s apartment. The reporting party asked the subject to leave, and the subjects woke up but went back to sleep. Officer Brenes woke the subject, and the subject insisted she lived at the apartment, using her keys to try to open the door. The subject became combative and resisted both Officer Brenes and Officer Martin when they attempted to arrest her. The subject, a 32-year old Atherton resident, was arrested for resisting arrest. On Saturday, 01-19-19 at approximately 3:57 a.m., three 16-year old Richmond residents were arrested for three counts of vehicle burglary, three counts of possession of stolen property and three counts of conspiracy to commit a crime. This occurred following three auto burglaries located on the unit block of Willits Street, East Market Street/Price Street, and near Willits Street and John Daly Boulevard. One subject was additionally charged with possession of a controlled substance. On Saturday, 01-19-19 at approximately 2:57 p.m., Officer Maddison was dispatched to the unit block of Bepler Street on a report of a subject who had brandished a firearm during an argument. The subject, a 25-year old Daly City resident, was arrested for brandishing, and his 25-year old roommate was arrested for an outstanding warrant. Both subjects conspired to hide the firearm used in the original incident, and they were arrested for that as well. On Saturday, 01-19-19 at 8:50 p.m., Officer Premenko and Officer Covarrubias were dispatched to the Skyline Elementary School on a report of an alarm activation. The officers saw two subjects outside of the room where the alarm was triggered. One subject, an 18-year old Daly City resident, was arrested for burglary and conspiracy to commit a crime. He was booked into the Redwood City Jail. The second subject, a 17-year old Daly City resident, was arrested for the same charge and booked into the Youth Services Center. On Saturday, 01-19-19 at 11:04 p.m., a 31-year old Daly City resident was placed under arrest for driving a motor vehicle while intoxicated causing bodily injury and for child endangerment after he collided into a sign at Mission Street and Castle Street. The subject’s six-year-old daughter was in her child seat and was injured during the collision. On Sunday, 01-20-19 at 2:55 p.m., Officer Graner was dispatched to the parking lot of Sprouts on a report of two males kicking each other’s vehicles over a “road rage” incident. Officer Herrera arrived to assist and spoke with one of the subjects who said he was proceeding to pull out of his parking space when a vehicle drove through the lot a high rate of speed. That subject, a 40-year old Burlingame resident, told the officer they began arguing and he exited his vehicle and knocked on the other subject’s car door. The subject told the officer that both parties exchanged profanities, and the subject then pulled out a small black pocket knife, opened the blade and pointed it towards the subject. Officer Graner talked to the other subject, a 26-year old Union City resident, who said he thought the subject was going to punch him, so he pulled out his knife. Both parties admitted to hitting each other’s vehicles. This case is referred to the District Attorney’s Office. There were three robberies during the past week. On Monday, 01-14-19 at 5:00 a.m., a 31-year old Baypoint resident was the victim of a carjacking at Geneva Avenue and Talbert Street. The victim admitted he had been drinking and met two subjects in Baypoint earlier in the evening. The subjects told the victim he was too intoxicated to drive and offered to give him a ride to San Mateo where he was headed. The victim said they stopped for gas, and the subjects told him to get out of his car. The vehicle was recovered in San Francisco on 01-16-19. On Tuesday, 01-15-19 at 4:55 p.m., Officer Lizana was dispatched to the War Memorial Center on a report of a robbery. The victim, a 14-year old Daly City resident, said he was walking on the east side of Mission Street approaching a bus stop near the front of the War Memorial Center when he walked past a group of kids making a lot of noise. The victim said as he walked past the group, the group began walking behind him and following him. The victim said he felt like he was about to get jumped and started walking faster. The victim said as he started to cross Santa Barbara Avenue, the group caught up to him, and one individual punched him on the face, grabbed the waistband of his pants and sweatshirt and pushed him to the ground. The victim said a subject on a bicycle rode by and threatened him. The victim realized his iPhone was missing from his pocket. Officer Jackson located a group of subjects resembling the description the victim gave. Two male subjects, 14 and 15-year old Daly City residents, were subsequently arrested for robbery, preventing/dissuading a witness, conspiracy to commit a crime and committing an adult offense by a juvenile. On Friday, 01-18-19 at 9:22 p.m., Officer Sunga was dispatched to the Target store on a report of a female who had her Victoria Secret shopping bag taken away from her. The 35-year old victim said she was shopping and put her bag down in an aisle in the toy section. She realized she left the bag and noticed the bag was gone. The victim’s friend looked around the store for the bag and saw the bag underneath a child who was sitting on it in a shopping cart. The victim went over to try to retrieve her bag, and she said the female who was pushing the cart pushed her on her stomach area and said, “Get away from me, I have a child”, and exited the store with the victim’s bag. Target security heard yelling and took a photo of the suspects’ license plate as she exited the parking lot. The victim described the suspect as a white female, “fat”, 5’4, 200 lbs., approximately 30 years old wearing a gray hoodie and black pants. She was with a white female child, approximately 3’ tall. This investigation is continuing. There was one residential burglary and one attempted residential burglary during the past week. On Saturday, 01-19-19 between 4:30 p.m. and 10:30 p.m., an unknown suspect burglarized a residence on the unit block of Plymouth Circle by smashing the rear slider door window. The loss as an iPad, two Dell laptops, a Louis Vuitton purse/wallet, headphones, jewelry and change. On Thursday, 01-17-19 at 10:12 a.m., a resident on the 800 block of Brunswick Street reported that two unknown suspects wearing black hooded sweatshirt and black or blue pants forced open the metal gate to the residence. The subjects were last seen running north on Brunswick Street towards Oliver Street after they saw the reporting party look through her blinds. There were three commercial burglaries during the past week. On Monday, 01-14-19 at 1:51 a.m., a 21-year old transient was arrested for burglary after stealing merchandise from the Walgreen’s store at Westlake Shopping Center. On Thursday, 01-17-19 at 9:09 p.m., unknown subjects pried the laundry room door open at the Alpine Inn and stole miscellaneous towels, a coffee maker and coffee. On Saturday, 01-19-19 at 8:50 p.m., two subjects were arrested for burglarizing the Skyline Elementary School. See “Notable Reports” for more information. There were fifteen vehicle burglaries and one attempted vehicle burglary during the past week. •	In N Out parking lot on Gellert Boulevard—two luggage bags containing jewelry, make up, paperwork and medical supplies were taken from a 2018 Nissan Murano. The right rear window was smashed. Occurred on 01-14-19 between 6:30 p.m. and 7:10 p.m.
•	Kumon parking lot on Gellert Boulevard—an Apple monitor, MacBook air, Mac computer, and a MacBook Pro were taken from a 2017 Mercedes Sprinter. The rear window was smashed. Occurred on 01-14-19 between 7:30 p.m. and 9:15 p.m.
•	Big 5 parking lot—a black leather satchel was taken from a 2015 Toyota Tacoma. The left rear window was smashed. Occurred on 01-15-19 between 1:30 p.m. and 4:55 p.m.
•	Home Depot parking structure (2nd floor)—a MacBook Pro, Patagonia backpack and a Burton suitcase were taken from a 2016 Subaru Outback. The right rear window was smashed. Occurred on 01-15-19 between 7:00 p.m. and 8:45 p.m.
•	24-Hour Fitness parking lot—a Lenovo laptop and Rayban sunglasses were taken from a 2018 Honda. The right rear window was smashed. Occurred on 01-16-19 between 9:30 a.m. and 10:00 a.m. **On-line report made. •	Unknown block of North Mayfair Avenue—paperwork and a new dash cam was taken from the glovebox of a 2009 Honda Accord. The left front window was smashed. Occurred on 01-16-19 between 2:30 p.m. and 8:45 p.m. **On-line report made. •	Serramonte Shopping Center parking lot near Crunch—a wallet containing currency, a driver's license, credit cards and gift cards was taken from underneath a jacket left on the passenger seat and keys were taken from the bed of a 2002 Chevrolet pickup. Entry was made using the key. Occurred on 01-17-19 between 5:55 p.m. and 6:01 p.m.
•	Serramonte Shopping Center parking lot near JC Penney’s—a canvas bag containing credit cards, make up and personal items were taken from the passenger compartment of a 2011 Toyota Prius. The right rear window was smashed. Occurred on 01-18-19 between 11:50 p.m. and 12:50 p.m.
•	Unit block of Willits Street—nothing was taken from a 1996 Chevrolet Impala. The left front window was smashed. Occurred between 11:30 p.m. on 01-18-19 and 4:29 a.m. on 01-19-19. •	200 block of Lakeshire Drive—a Fastrak and change was taken from a 2005 Buick LeSabre. The method of entry is unknown. Occurred between 9:30 p.m. on 01-18-19 and 10:00 a.m. on 01-19-19. •	500 block of Vista Grande Avenue—a backpack containing registration, $20, 1 ounce of marijuana, and miscellaneous items was taken from a 2009 Honda Civic. The right rear window was smashed. Occurred on 01-19-19 between 2:00 a.m. and 11:00 a.m.
•	100 block of East Market Street—an iPhone was taken from a 2008 BMW 328i. The method of entry is unknown. Occurred on 01-20-19 between 4:40 p.m. and 5:00 p.m. **On-line report made. •	PetSmart parking lot—an attempted burglary to a 2018 Volvo SC60. The rear window was smashed, but no entry was made. Occurred on 01-14-19 between 7:15 p.m. and 8:05 p.m. There were no stolen vehicles stolen during the past week. 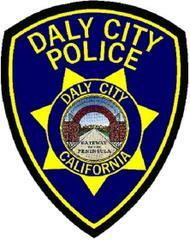 On Saturday, 01-19-9 at 5:30 a.m., a 27-year old Daly City resident received a call from a male “Agent John Diego” who said they found drugs and other illegal items under her name, and if she did not pay a $400.00 fine, a police officer would arrest her on the spot. “John Diego” stayed on the line with her and instructed her to go to the nearest Safeway store and purchase a $400.00 Google Play card. The victim did as she was told and gave the caller the serial number on the card. The victim said she gave the caller her social security number. The victim was advised to contact the Social Security Administration and the credit card monitoring services.